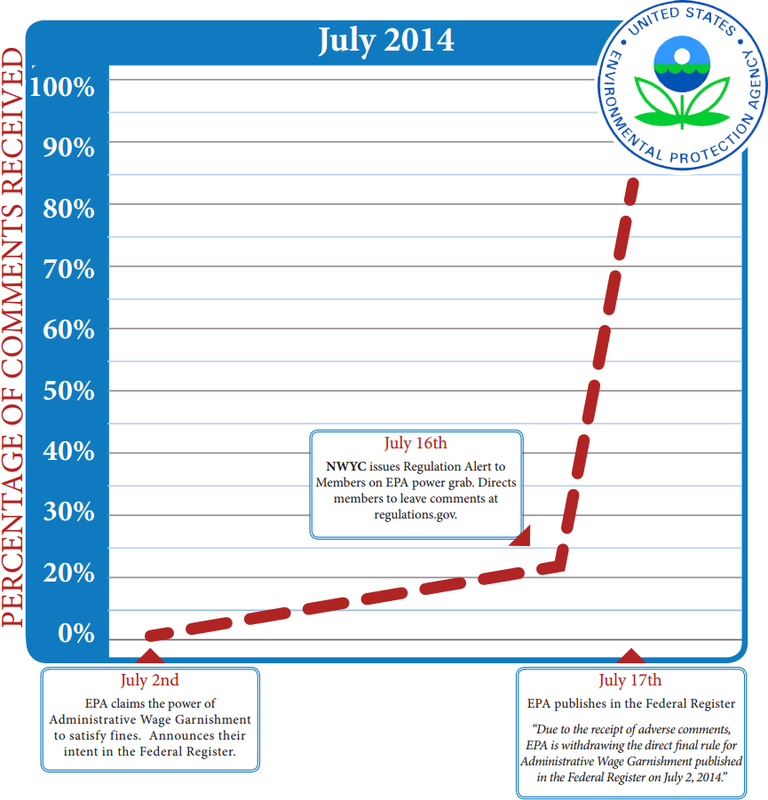 Regulation Alert: EPA Abuse of Power? The Environmental Protection Agency (EPA) has proposed a rule claiming authority to bypass the courts and unilaterally garnish paychecks of those accused of violating its rules, a power currently used by agencies such as the Internal Revenue Service. This rule amends the EPA's debt collection regulations to implement the administrative wage garnishment (AWG) provisions of the Debt Collection Act of 1982. The EPA has claimed this new authority by citing the Debt Collection Improvement Act of 1996, which gives all federal agencies the power to conduct administrative wage garnishment, provided that the agency allows for hearings at which debtors can challenge the amount or the terms of a repayment schedule. Rep. Cynthia Lummis (R-WY): “The Environmental Protection Agency (EPA) is going rogue. They are claiming the authority to garnish nonfederal wages to pay fines and other non-tax debts without a court order. They even claim they can decide who can and cannot present a defense against these heavy handed collection tactics.